Here is how I would have handled that hearing. 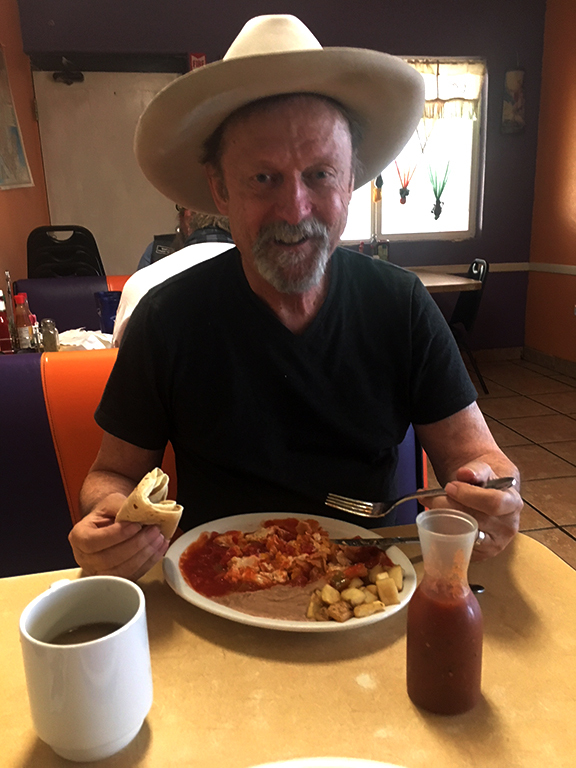 Senator: "Mr. Bell are you happy with the huevos rancheros we imported for you from Sophia's in Gila Bend, Arizona?" BBB: "Yes, I very much appreciate the food gesture of good will." Senator: "Perhaps someday you will try some authentic Mexican food from my great state of New Mexico." BBB: "In my opinion, any state where the vast majority of Mexican food restaurants serve store bought tortillas cannot in good conscious call itself authentic in any way." Senator: "Are you a virgin, Mr. Bell?" BBB: "No, sir, I am not." Senator: "Do you remember when it happened that you lost your virginity?" BBB: "It was April 14, 1964." Senator: "Can you be more specific?" BBB: "Yes, it was at a place called White Cliffs, which is a favorite parking spot about one-half mile north of the Kingman, Arizona Courthouse. And it was in a 1964 Nash Rambler." Senator: "So you lost your virginity in the back seat of an old car?" BBB: "No, it was a brand new car, and the front seat folded down into a bed." Senator: "Back in those days, would you consider yourself a gentleman?" BBB: "No, sir, I was a complete horndog and I thought about nothing else but getting laid for years on end." Senator: "Would you say you were selective in who you attempted to sleep with?" BBB: "Anything that moved, sir." Senator: "Do you believe in God, Mr. Bell?" BBB: "I believe in the teachings of Squibe, Moon and Nay." Senator: "Do they subscribe to the teachings of Jesus Christ?" BBB: "No, sir, they are Haulapai In-dins but they do take the name of Jesus in vain quite a bit." Senator: "And what do these Native Americans espouse?" BBB: "Moon likes to say: 'What if I told you the left wing and the right wing are from the same bird.'" Senator: "I think it's safe to say you have no business being a Supreme Court Justice." BBB: "Truer words were never spoken." BBB: "Yes, good luck with that frat brat." GO BOZE! I'll vote for you! As compared to all those mutton-free "Navajo Tacos" ya'll foist on unwary tourists in Arizona? BTW, in a joint staff/patron effort, we finally got our local library (Clovis, NM), to carry True West. I'm hoping it will serve as a gateway drug to the library's Southwest Collection, which is extensive.